So last week a pub discussion about terrible movies resulted in my having some friends over to watch The Room. 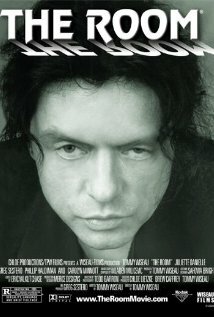 For those of you who don't know about this fantastic piece of cinema The Room was released in 2003 and is a strong contender for the worst film ever made. Whereas most contenders for this title rely on bizarre science fiction story-lines, shoddy special effects and poor make up or costumes The Room earns it's position purely on the strength, or lack thereof, of it's dialogue, acting, direction and even the set design. While the direction is terrible it isn't fair to entirely lay the blame for this film at the feet of the director, Tommy Wiseau, who had the misfortune of having to deal with an almost universally awful cast. The leading man, Tommy Wiseau, stands out as particularly dreadful with an inability to act, or even sound, like a functioning human being. However this is no way helped by the awful script, written by Tommy Wiseau, which is chock-full of lines a human being would never say. What I'm saying here is that you have to see this film. His face isn't as bad as his acting... no, really. This just begs one question. Why? Why is 'so bad it's good' a thing. I could run off a huge list of films that are objectively terrible but that have none the less worked their charm on me enough to make my personal top 100. What is it about bad films that we love? Well firstly I think I should point out that this only holds true for films. A bad book is abandoned within a few pages, unless you are brain damaged/fundamentally lonely enough to like twilight, bad music, with the possible exception of Rebecca Black, is just turned off and bad paintings just fill us with revulsion. I'm not going to even talk about bad games because they're are usually to unplayable to be a reasonable proposition. The reason that bad films work, for want of a better word, is that they are trying to create a reality. Even the most bizarre and alien films still tend to feature characters with recognisable human traits when a movie is bad it's obvious we know what real people behave like, we know how they talk and we know what the real world looks like. When these elements are slightly off it jars us out of our enjoyment of a story, when all of these elements are off it creates something so divorced from human expectation that our brains have trouble processing it. The human brain does have a full back position for harmless nonsensical behaviour and that's laughter. In a social situation should someone behave in an unusual way without context then laughter is the easiest way for us to convey the message “You have stepped outside the normal behavioural constraints, but that's OK because it's not hurting anyone.” Obviously we bite back this instinct a lot of the time as we don't wish to offend. 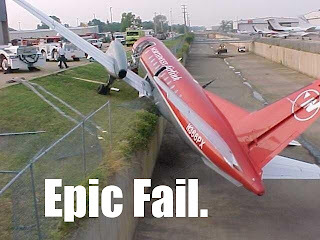 However with a bad film the people I'm laughing at are, one, fictional and, two, too far away to hit me in the face. There's also the element of laughing at someone else's failure. We know what it takes to make a movie, the amount of people you need to get on board with the project, the man hours involved, the blood sweat and tears, hell I was in a movie that filmed over two years ago now and it's still not been finished, when someone puts all that effort in and the result is so poor it's ridiculous and that makes us laugh. 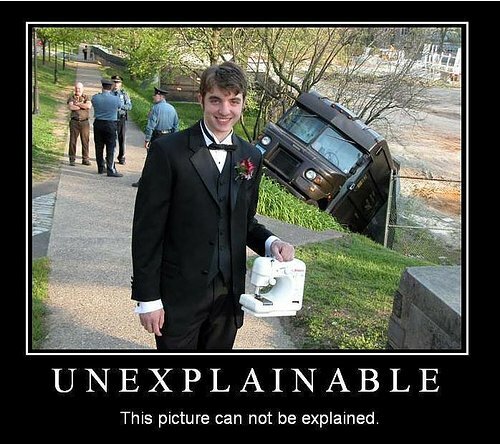 Effort + Fail = Funny. I think it's important to note that for a movie to be so bad it's good it has to be bad all over, it's not enough for a movie just to be poor in certain respects. 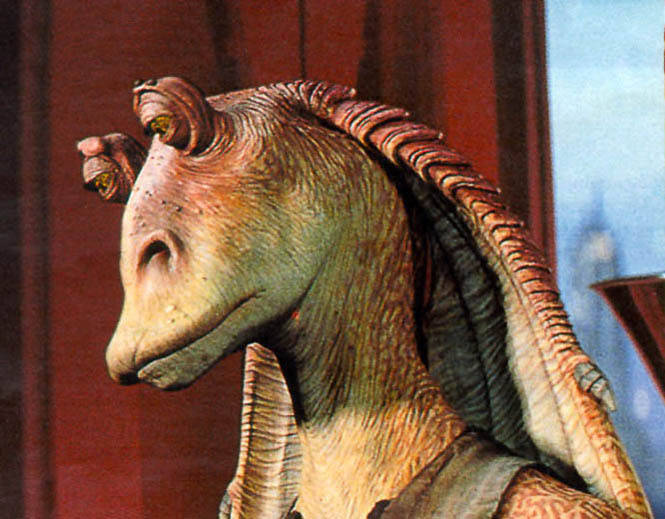 Look at Star Wars: Episode I: The Phantom Menace... actually don't, don't ever look at it. Anyway SW:EI:TPM had a great cast, superb CGI and fantastic music, it also had George Lucas's filthy little mitts all over it. No you need the whole package, the more things that are terrible about a film the closer to the magic line of bad enough to be thoroughly entertaining. The Room has two actors in it who aren't terrible and one of them quit before the movie was finished that is the full list of positive things I can say about it. That is why it's spectacular. This, this is just so, so sad. So please if you haven't seen the room I beseech you to do so it is absolutely awful in almost every regard and if you don't love it then there is a strong possibility that you have no sense of humour.